2. Afghan Hound, Vero Shaw 1913. Photo of an early Afghan Hound taken from Vero Shaw's book "The Encylopedia Of The Kennel"
3. Persian Greyhound, Robert Leighton 1907. 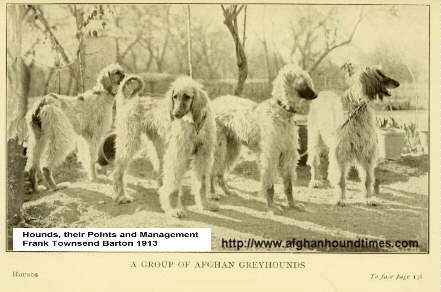 Photo of early Afghan Hounds taken from Robert Leighton's book "The New Book Of The Dog"
4. 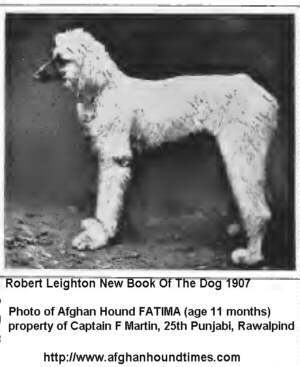 Fatima, Afghan Hound 1907.